TORY RICHARDS: Third Fantastic Review for THE COWBOY WAY! Third Fantastic Review for THE COWBOY WAY! 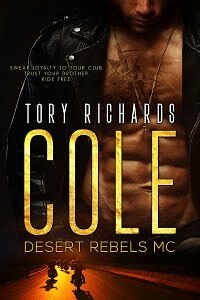 The Romance Studio says...Ms. Tory Richards has written a fabulously sensual, exciting book. The tension throughout the book was twofold. There was, of course, the sexual conflict between Chase and Lacey. These two characters were so well written and so aware of each other that it was incredible that the words didn’t burn the pages. The sexual activity was well written and sizzling. The sensual atmosphere was a page-turning experience. The other individuals involved in this story were dynamic and enhanced the book. This was a great book which I thoroughly enjoyed. I highly recommend it to anyone who likes vibrant characters with beautiful scenery and intense action. This is one author I would love to read again. I totally agree with all the reviews you have gotten on this book!!!! It was WAY rockin! Thanks Ann! You read it?